It is the way of life to always take you by surprise. For many years I felt like I was writing “Polska” only for myself. Then finally it all happened at once – the dreamt-of book deal… and the pregnancy. Two babies had decided to come into my life at once. Progress was slow. It was extremely important to me that this book should be written with care and love. It contains everything in my life that has meaning to me, expressed though the language of food. I would not let the persistent waves of nausea sabotage my dream. For a few months I gave up doing other things, as I waited it out, catching those rare moments of feeling well enough to write. My heroic mum saved the day with her motivation and drive, which in turn inspired me to keep going. Soon enough the nausea passed – I’d won. It’s true that the most difficult things in life also tend to be the most rewarding. 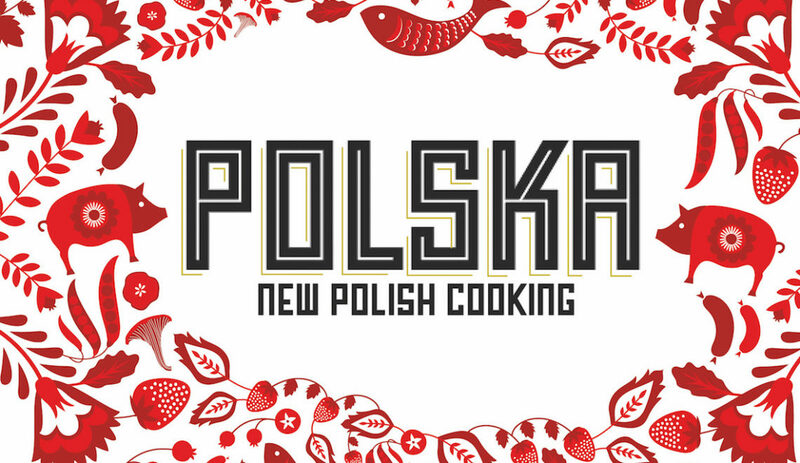 I decided to write “Polska” because I felt that the whole time I’d lived in England (that’s 28 years in total now) my country’s cuisine had been misunderstood. I often came across the view that Polish food was “just meat and potatoes”, whereas the food I was brought up on was varied, seasonal, interesting. There was a huge misalignment there and once I got the metaphorical bee in my bonnet, I could not ignore it. You can buy Polska here if you live in the UK and here if you live in the US.